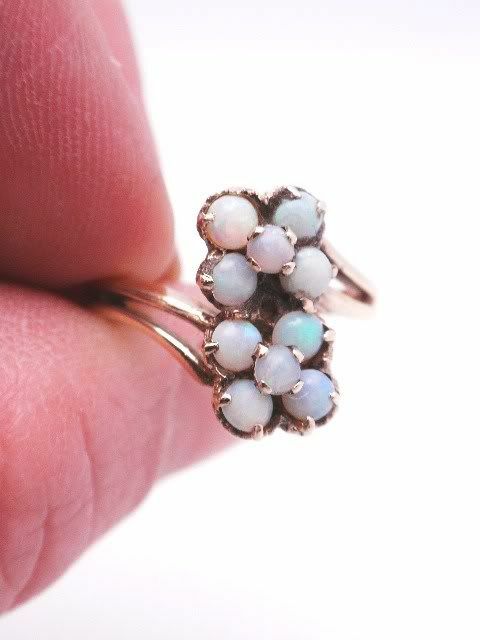 Vintage opal cluster 14K ring. 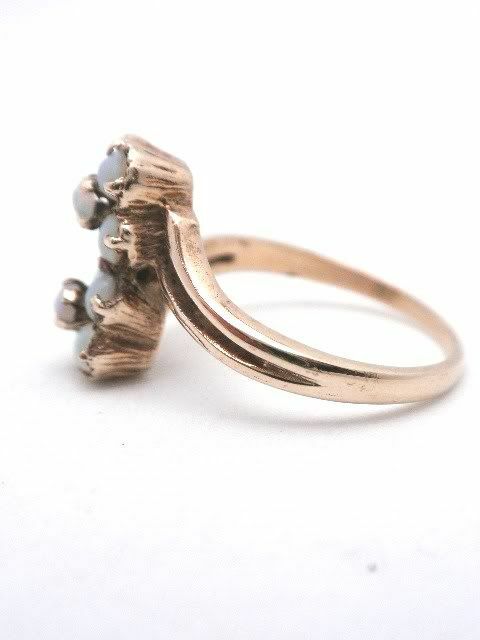 The ring measures 1/2" long by 3/4" wide. 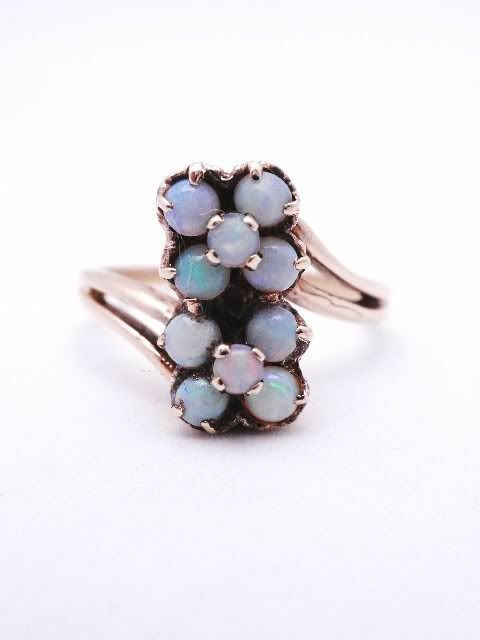 The opals are set to fashion a flower. 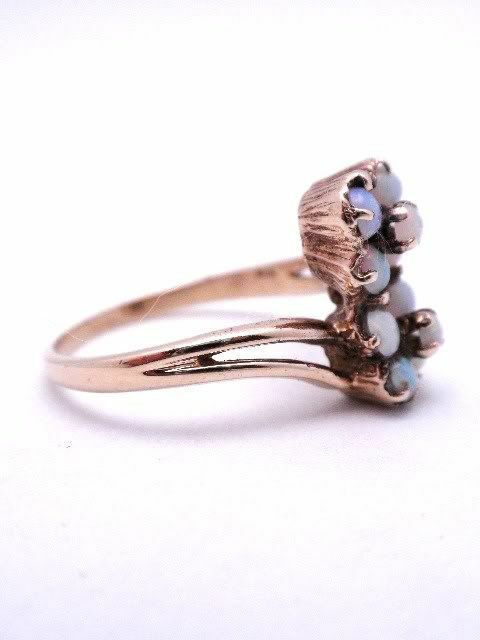 All the stones are in good condition with no damage to note. The ring weighs 3 dwts and is marked 14K . 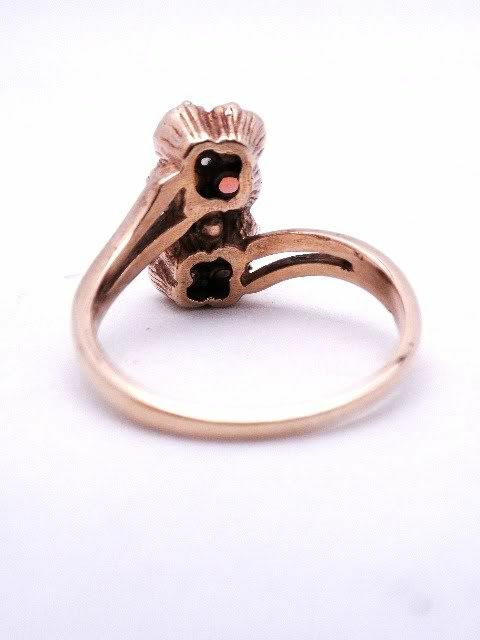 The ring is currently a finger size of 7 1/4 and can be custom sized by our in house jeweler.